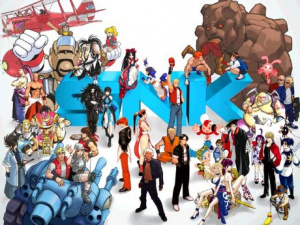 SNK Virtual Console Releases In Jeopardy? This retro anthology is already available on the Sony PS2 and PSP and contains 16 choice cuts from the back catalogue of this illustrious company. 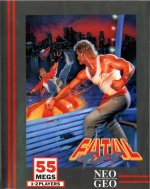 All of the games are taken from the library of the near-legendary Neo-Geo console, which was the first machine to bring true arcade power to the home – basically because it was an arcade machine in console clothing. But why are we covering this news on Virtual Console Reviews, I hear you cry? 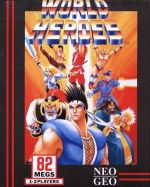 Well, out of the 16 games included, 10 are currently available on the Virtual Console at the time of writing and one has to question SNK’s wisdom in this regard – the pack will presumably retail for a lower price point than your usual retail release, which would mean that the Virtual Console versions of these games would become terrible value for money. 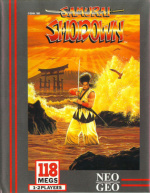 Seeing as this is volume one of what we assume will be a range of packs, will this have an effect on SNK’s stance towards the Virtual Console? The company has hardly been swift to get its games onto the service, after all. Naaah, The MS Anthology didnt stop them from releasing Metal Slug. im too young for the neo, so i'll just wait patiently for super mario rpg. . . They can do what they want. I prefer none of their games anyway. SNK will continue to release games on the VC, because I'm sure there are some people that only like 1 or 2 of those games on the disc, so it would be a better value to them to just buy 1 game. And then there are the casual gamers who don't even know that the compilation disc exists. And also, when the disc is out of print in the future, there will still be the games on the VC. 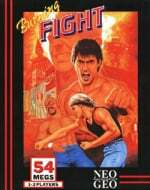 I agree with comment #6 I would have little interest in buying that 16 game compilation, but I do see myself getting king of fighters 94 at some stage. So I think theres room and warrant for it. Hopefully it will support the classic controller as well, or else wel never hear the end of it here! Considering ignition have said Autum for the PS2 and PSP version and "later" for the Wii version* and the fact the PS2/PSP version are out in America its not a threat. Yet. 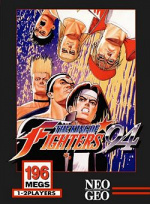 Also, gametap offers some of thoses neo-geo games for free. But gametap is America only. ...well they still could becuase will sales of the outstanding titles take a dip if a date for the Wii verison of SNK arcade classic is announced? 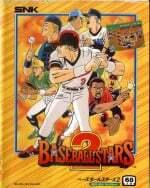 I was already looking at getting it for the PS2 considering I haven't bought any NeoGeo games yet. I'll buy some as soon as these compilations stop coming out....I wonder what SNK is thinking, losing money like this? Why are you criticizing SNK, Damien? 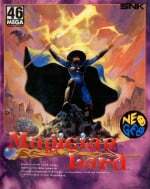 Doesn't Nintendo decide what games get released and when as far as the Virtual Console is concerned? Maybe SNK is just tired of waiting for Nintendo to get their act together. I wonder if Sega and Hudson will release similar collections. I think the reason why they're doing this is very simple. They want to sell their games and can't wait any longer for Nintendo to finally release them all. "Damn! firebrand pretty much said what I just said. I should have just posted before getting a drink "
It's okay. I need all the help I can get on these forums. When did I criticize SNK exactly? you didn't. Ninty needs to get their act together before everyone jumps ship. Not that it'll ever happen, but I wouldnt mind a Square Enix Collection Vol.1! "one has to question SNK’s wisdom in this regard "
"The company has hardly been swift to get its games onto the service, after all." If this post had been made six months ago, I would have agreed with your assessment, but I've learned a few things about Nintendo since then. "the pack will presumably retail for a lower price point than your usual retail release"
Nah. That's only an American thing. This one's going for 120$ or whatever new games cost today. No offence, but I hate articles like this. 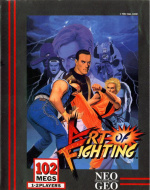 The Sega Genesis Collection had the same effect on the early VC Genesis library. BUT, the emulation on the SNK Arcade Classics isn't up to par with the VC versions of the games. (Judging by Magician Lord.) However, the price of admission is worth Last Resort alone. SNK will release games on both VC and disc. They want those dollars as bad as Nintendo. If they can make money on both the VC and the usual retail system they will. I actually can't see any contradiction in this. 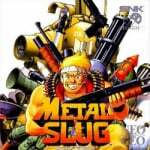 As stated above, a disc collection of Metal Slug didn't stop them from releasing it on the VC. As a matter of fact, Metal Slug is still on the top 10 most downloaded games (EU). Doesn't bother me much the only games that intreast me in SNK’s Arcade Classics Collection are Metal Slug, Samuari Shodown , KOF 94, Fatal Fury Baseball Stars 2 and MAGICIAN LORD. 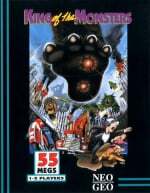 I already have Metal Slug via the antology disc and downloaded Magican Lord from the VC so i'll give it a miss. I want Shock troopers for the VC that game is awesome!!!!! cool I might actually buy this. 1. not all titles on comp are worth having. 2. comp is for different console anyway. why shouldnt snk make their stuff available to different users in different ways? "2. comp is for different console anyway." No, this is about the Wii release of the collection. Learn to read. im too young for the neo, so i'll just wait patiently for super mario rpg. . ."
Hey number two, you might want to edit your comment. LOL. this would deffinetly make vc a horrible value id estimate that the game would cost $30 dollars you would need only to buy 3 vc games to reach about that point. Not to mention the fact that you need not worry about memory, and even if you only want one of these games wouldnt you rather shell out 21$ more to try 15!!!! other games? Then again, not having to fiddle about with the discs and playing the games straight out of the console is a huge advantage, especially with the new add-on Hard drive thats coming out......... It is coming out isn't it, Otaku? I will rent this game. Its like playing demos. If you like one or two games you may just want to download them. If you like a bunch of them its better to get the disc. Its probably better to get the disc though.